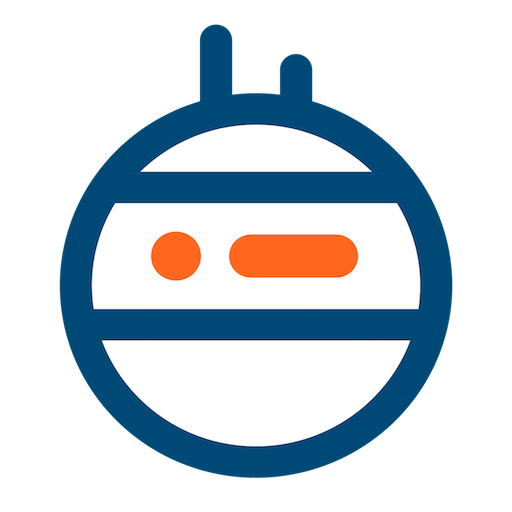 Workspaces are collections of related servers and websites on which a team works. 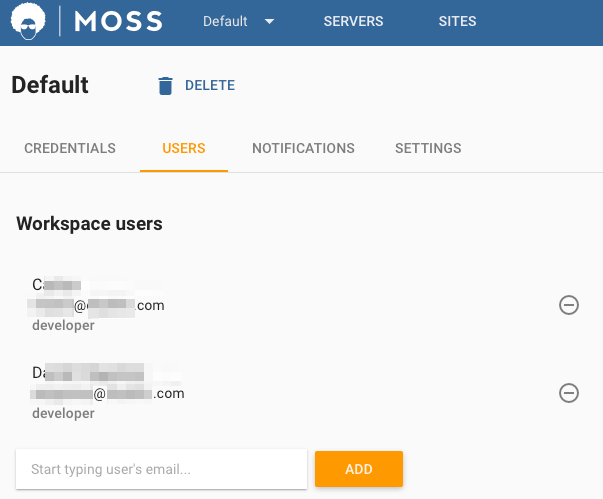 Moss arranges your infrastructure in workspaces so that you can keep everything grouped and under control. E.g. you may create a workspace per customer, per department, per application, or per application environment (staging, production, etc). You decide the arrangement that better fits your needs 😄 . Furthermore, you may add teammates to a given workspace but not others. 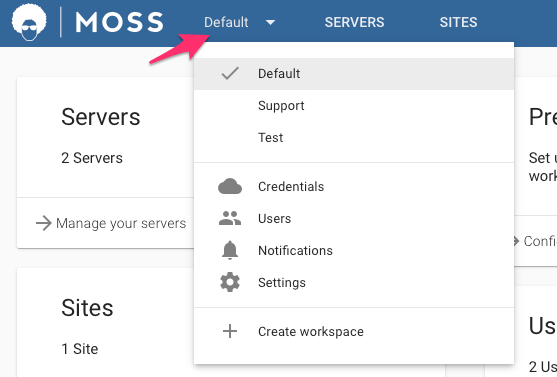 You can always head to the dashboard of your current workspace by clicking the Moss logo at the top of the screen. 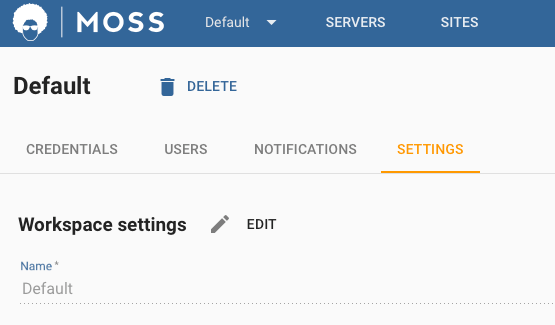 The workspace selector lets you switch among workspaces easily. 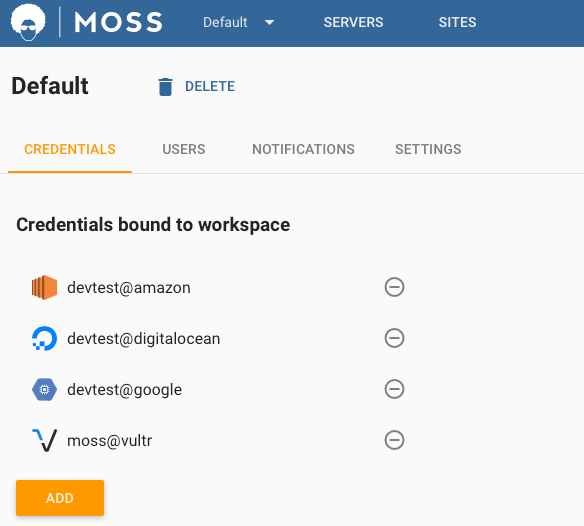 You can also add or remove credentials according to the needs of the workspace. Add or remove teammates to/from the workspace. 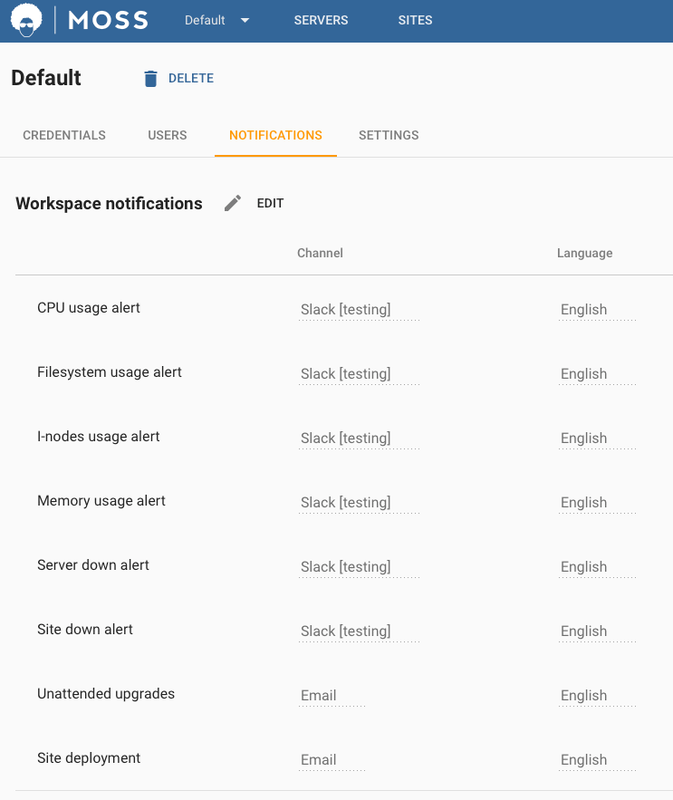 And manage Moss alerts and notifications for this workspace.